I spent a few days at home for Thanksgiving and spent some time with friends and family. Plus, I also launched my live video training series for my new product for business owners, Six Figure Systems! Sign up for the training series here. Find out about Six Figure Systems (for business owners!) here. And, of course, I made financial progress too! This month, I really focused on making better use of my time and my team. This means I’ve started implementing things like regular team meetings with my assistants so we can work together on bigger goals. I’ve also started outsourcing more and different things to try and take more off my own plate so I can focus on the bigger picture of the business moving forward. In November I’ve probably put more time toward my own business than I had for several previous months combined. But I’ve also been better at taking time off in the evenings and weekends (most of the time). I’ve also been thinking about discontinuing these blog posts. I know that blogging has changed in the 5 years I’ve been doing it. When I started in 2013, these types of personal posts and life updates were very normal. But as blogging has become recognized more and more as a business and a career, plus as this blog has become a part of my business and is one of the ways I earn an income, doing posts like these aren’t seen as “valuable” anymore. For now I’ll keep them because I enjoy writing them. What have you been up to lately? How was your November? For my US friends, did you have a good Thanksgiving? 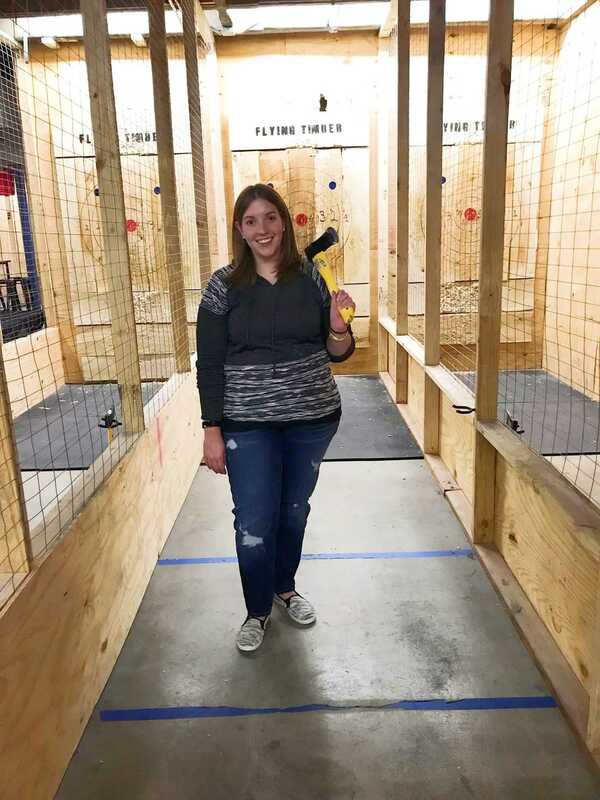 PS – Below is a picture of me throwing axes! My picture at the top is from when I blew up our halloween pumpkins at Thanksgiving! I’m glad you have had more time to put toward your business. 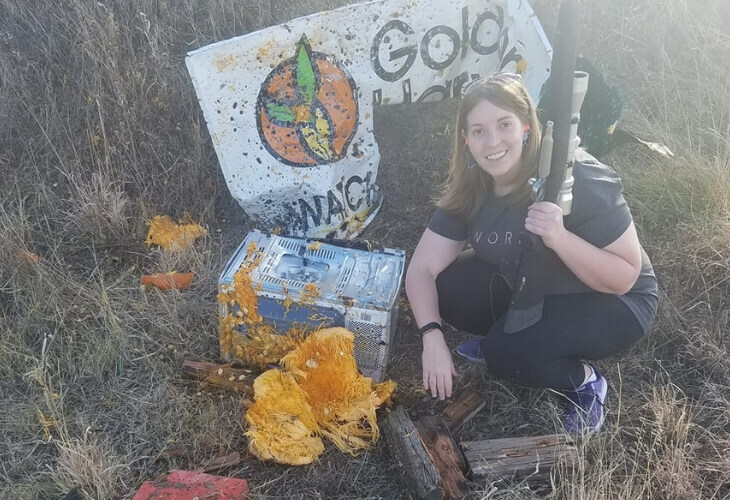 Blowing up pumpkins looks really fun, pretty messy I bet though! It was, but so cool! Thanks Chonce!